In one of the most endearing Italian comic operas, a love-struck country bumpkin sets out to win a feisty socialite’s heart, aided by a “magic” potion (it’s wine!) and a doctor of dubious credentials. Donizetti’s light-hearted comedy, The Elixir of Love, bubbles with effervescent arias and charm as the elixir causes as many problems as it solves. 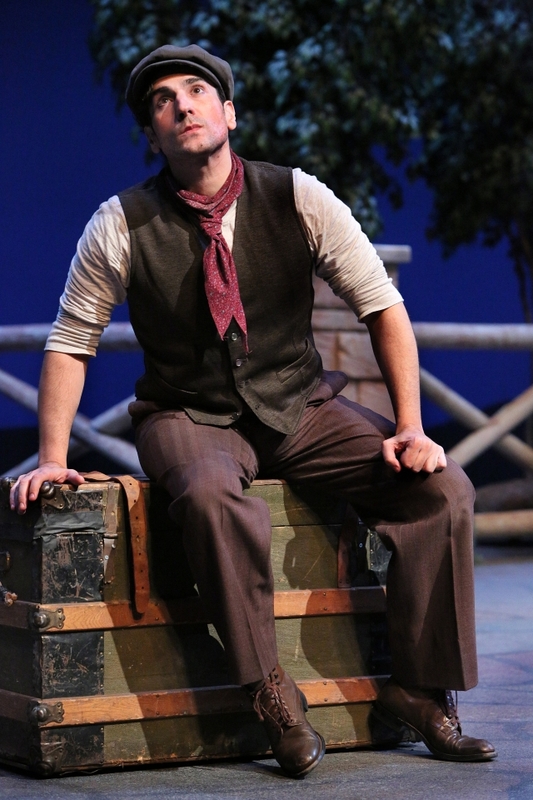 Leonardo Capalbo makes his Minnesota Opera debut as Nemorino, the peasant in love with Adina, the wealthy landlord. Capalbo, an Italian-American tenor, has garnered international acclaim for his performances throughout the United States and Europe. Lauded for his rich, lyric voice and dramatic intensity, he takes the stage as Nemorino, a character who is sure to worm his way into the audience’s hearts. Nemorino’s aria is one of the most famous tenor arias (“Una furtiva lagrima”), and you perform it beautifully. What makes his aria so popular both with singers and audiences? Leonardo Capalbo: “Una furtiva lagrima” is a piece of music that strikes a deep emotional chord with us all. The beauty of it comes from its simplicity. When performing this aria, as strange as this may seem, I spend more time listening than I do making sound myself. I hear the beat of my heart. I listen to the sound of my inhalation. My perception changes. Each pause is pregnant with both doubt and excitement. Nemorino is in love and for the first time experiences what it’s like to be loved! This music is a sort of secret that Nemorino shares with the audience. Donizetti knew that there is great power in vulnerability and he set this complex emotional state in such a clean and innocent way. The opera was written by Donizetti in only six weeks, but remains so popular. What about the story makes it so universally appealing and sets it apart from other Donizetti works? LC: Elixir is a timeless tale. Audiences can relate to the characters today much as they did when it first premiered. The humanity of it all speaks to us. Donizetti’s music has charm, wit and also pathos. Your character, Nemorino, is one of the most beloved of operatic characters. What’s it like to portray such an Italian dynamo? LC: I have performed Nemorino in a number of productions, all quite different in terms of staging and setting. While my portrayal of the character changes with each production, the one constant is that I keep him genuine. Nemorino doesn’t know how to be dishonest. This is your debut with Minnesota Opera, and you’re already returning for their production of The Manchurian Candidate in March. How’s your time/reception in Minnesota been? LC: I’m delighted to be here in Minnesota. It may be cold outside but I feel lots of warmth from the people in the Twin Cities. Having performed all over the world, what drew you to Minnesota, to this production? LC: (Artistic Director) Dale Johnson invited me to perform with Minnesota Opera and I was happy to accept. It’s a wonderful experience for me to showcase some of what I do as a singer and actor. I love bel canto music (literally “beautiful singing”), but I’m also passionate about developing new music. I approach everything I do from the point of view of building a character—a real person on stage both musically and dramatically. I’m delighted to have the opportunity to work here in Minnesota where it’s obvious that those ideals are valued. 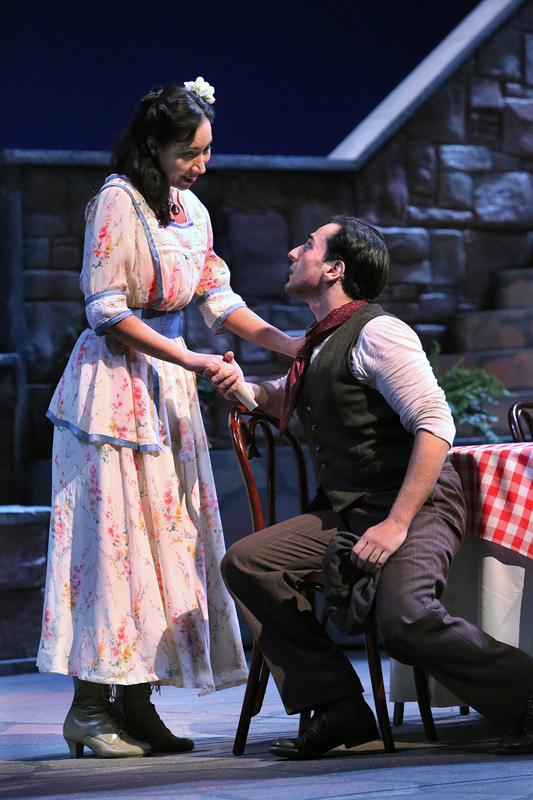 The Elixir of Love runs at the Ordway Center for Performing Arts through February 1. For more information and to purchase tickets, head to www.mnopera.org.